Facility Location of classroom Hot Springs Board of Realtors Office 437 Orange Street Hot Springs, Arkansas 71913 Google Map Office Location - Mailing Address 339 Springwood Road Hot Springs, AR 71913 Google Map Broadway School of Real Estate offers classes in pre-license, post license and continuting education. Courses are available in classroom or through diistance learning and online. 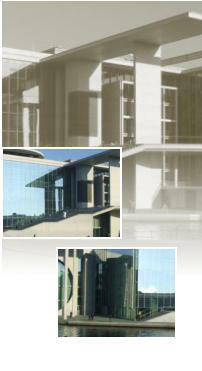 Broadway School of Real Estate was the first school in Arkansas to be certified by ARELLO to teach distance education. Classroom facilities are air conditioned and include blackboards, flip charts and video cassette program projection. Maximum classroom seating for 30 students. Instructor Kent Keahey, BS, CDEI Kent Keahey is the Director of Broadway School of Real Estate in Hot Springs. 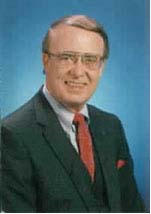 Kent purchased the Broadway School of Real Estate in 1982 and founded Keahey Real Estate the same year. He served as director of the Hot Springs Board of Realtors for three years and is currently a member of the Real Estate Educators Association. Kent is listed as a major reviewer for the Pearson Vue Real Estate Exam Text and is listed as content reviewer of the first edition of the Arkansas Supplemental of Real Estate Basics. Kent Keahey began his career as a secondary school teacher. He was also a bank trust officer and an executive for Boy Scouts of America. He has held Brokers licenses in Kansas, Tennessee and Arkansas. Accreditation Broadway School of Real Estate is licensed by the Arkansas State Board of Private Career Education. All correspondence courses have been Certified by The Association of Real Estate License Law Officials (ARELLO). Mr. Keahey is also a Certified Distance Education Instructor through the International Distance Education Certification Center (IDECC). Broadway School of Real Estate was the first school in Arkansas to be certified by ARELLO to teach distance education. Terms & Policies View our Terms & Policies here.